If you have been following Jewish and Israeli food trends over the past few years, then you are probably already familiar with Chef Michael Solomonov, whose restaurant Zahav basically helped start an Israeli food revolution in the U.S. In 2017 Michael Solomonov was awarded the coveted James Beard Award for Outstanding Chef, and in 2016 his cookbook Zahav: A World of Israeli Cooking was also awarded the James Beard Book of the Year. But before he was so famous, what inspired him to become a chef? 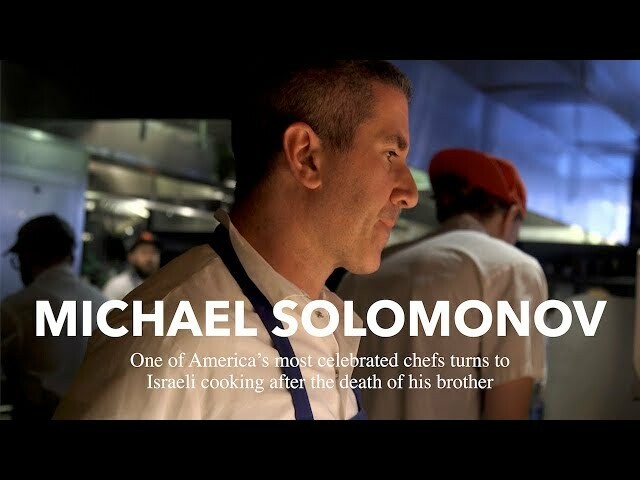 The short film below explores Solomonov’s roots, his struggles with grief and addiction, and why he became so inspired to tell Israel’s story, and his own, through food. To watch more videos in this series, click here.